﻿Welcome Neighbor. This website is a volunteer-based community resource focused on helping you and your families connect with and impact your community, neighborhoods and streets. 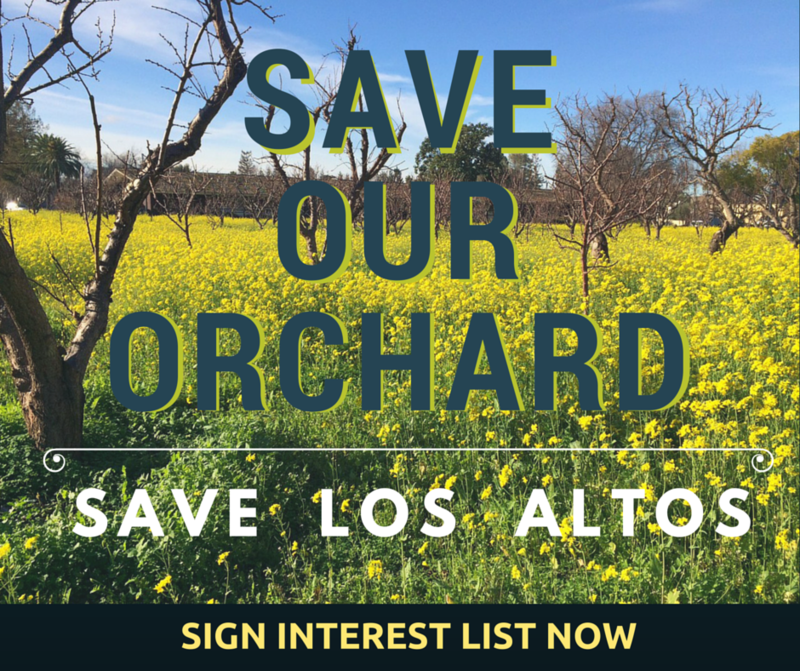 Stay in the know, have a say, and make a difference in how you live, work and play in Los Altos. Neighbors in Action. See how you can Help. San Francisco Chronicle travel writer Jeanne Cooper features Los Altos and its unique village character--complete with a "leafy heart", walkable charm, and historic and rural roots. 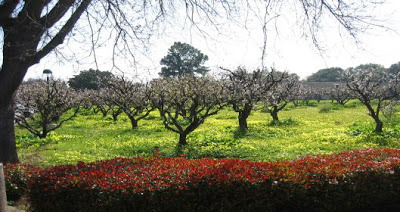 Highlights of artisanal and independent stores, and our very own City Landmark the Civic Apricot Orchard and museum are a few of the notable tributes to Los Altos as a special place to discover and unwind like a local. 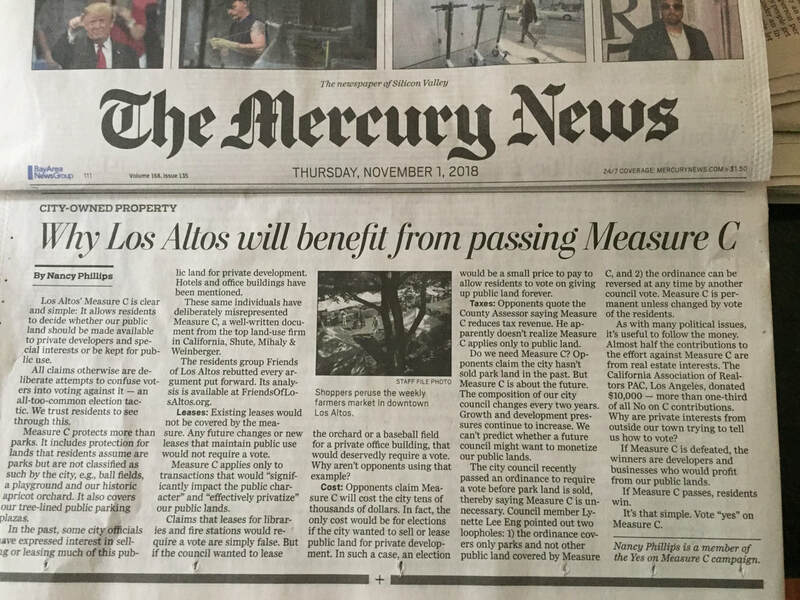 The SF Chronicle article titled "Slow Your Pace in Los Altos" starts with…. " In fast-paced Silicon Valley, downtown Los Altos remains an inviting place to hit the brakes, get out of the car and go for a walk, especially on weekends. " NEIGHBORS SUPPORT: Regional efforts and group QuietSkies Los Altos are advocating for feasible and real near term solutions. BACKGROUND: On Mar 2015 the FAA implemented the NextGen flight system which shifted the main flight route (Big Sur, SERFR) for SFO aircraft directly over populated areas, lowered flight elevations, increased vectoring (circling)...which directly impacted the health, lives and sanity of residents from Santa Cruz, Los Gatos, Los Altos, Palo Alto and the mid peninsula region. 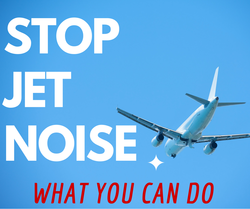 Visit the Stop Jet Noise Neighbors initiative resource page to find out more and what you can do. Give neighbors a voice and vote on plans concerning parks, open space and public lands. Get the facts! Join your Neighbors and Vote Yes on C.
Online discussion forum coming soon! Stay tuned. 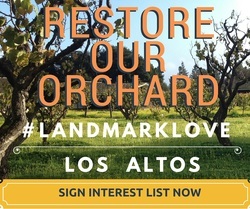 And thank you for all your email comments to support education and inspiration for helping articulate Los Altos Character and the wonderful things about our Los Altos Community! 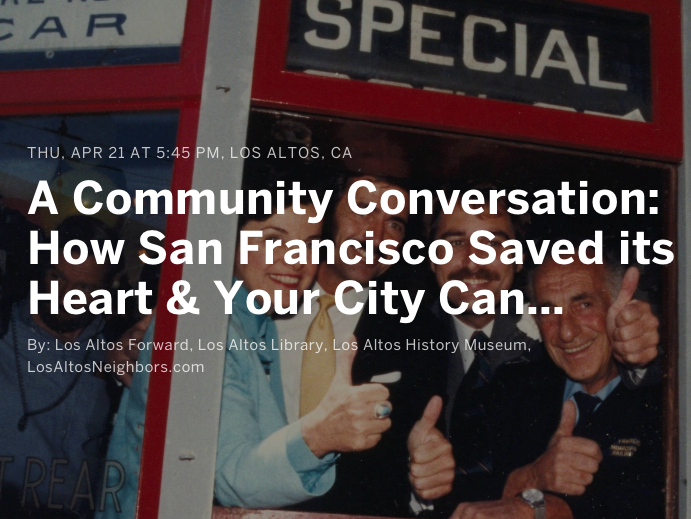 On April 21 Los Altos welcomed a presentation on how San Francisco saved, restored and transformed SF's cable cars and streetcars, and enriched it's city character. Author and KRON TV journalist, Rick Laubscher's got a thumbs up from Los Altos residents. And Neighbors, keep reporting those noisy, overhead fly-bys through this automatic reporting tool that can be used from your PC or easily from your mobile phone.